The Artemis, pictured, is based on the Porsche Cayenne SUV. British niche carmaker Eterniti Motors has opened its first showroom, in London, to coincide with the launch of its premier production model, the Artemis SUV. 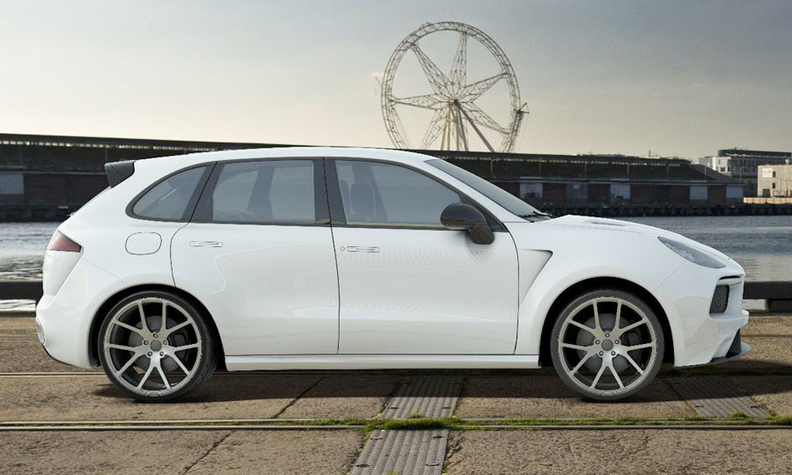 The Artemis, which is based on the Porsche Cayenne, was first shown in 2011 at the Frankfurt auto show. At this year's Beijing auto show, the company displayed an engineering prototype, and said it had already sold five SUVs to buyers in China, and had interest from others in Spain, Austria and Italy. Powered by a 4.8-liter twin-turbo V-8 that produces 600 hp, Eterniti says the Artemis goes from 0 to 100kph (62 mph) in 4.5 seconds and has a top speed of 290kph (180 mph). Ex-Jaguar engineer Alastair Macqueen helped develop the handling. He was also responsible for the Jaguar XJ220, which was the world's fasted car when it was introduced. The Artemis features a rear cabin with reclining rear seats that heat and cool, an iPad holder and a drink chiller with crystal glasses. Eterniti says this satisfies a growing demand in Asian markets, where cars are needed for chauffeured transport and also for pleasure driving. Eterniti says the model will appeal to buyers who may be considering the forthcoming Bentley EXP 9F, Lamborghini Urus and Maserati Kubang superluxury SUVs. The carmaker says the car's interior is handcrafted in England, with thousands of combinations of trim and materials available. The man responsible for the interior trim and personalization is Alan Mobberly, Land Rover's former chief interior designer. Eterniti says it expects the bulk of its future sales will come from China, and it is in the process of establishing a dealer network there. Wholly owned dealerships are planned for Beijing, Shanghai and Taipei, and a site in Hong Kong is scheduled to open early next year. Eterniti says the Artemis is priced at the local currency equivalent of 210,000 pounds plus taxes in all global markets, except China.